There is much debate as to which Pokemon Type in Pokemon Go is best at Offense or which Pokemon Type deals the most damage. It is very difficult to say, mainly due to two factors. #1. 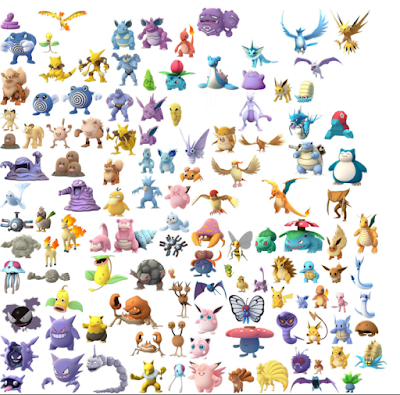 There are Many Different Types of Pokemon: In Pokemon Go there are 18 different Types of Pokemon. These include Normal, Fighting, Flying, Poison, Ground, Rock, Bug, Ghost, Steel, Fire, Grass, Water, Electric, Psychic, Ice, Dragon, Dark and Fairy. #2. Each Pokemon Type Has Strengths & Weaknesses: Fire is Super Effective against Grass, Grass is Super Effective against Water, and Water is Super Effective against Fire. Therefore, there is no "Single Best Type" in individual battles. However, being that Pokemon Trainers face many different Pokemon in many different battles it is best to analyze the Best Offensive Pokemon Type on a larger scale. In other words, a single Pokemon Type may deal a large amount of damage to a single Type of Pokemon, but how will it fair Offensively over a period of ten, fifteen or twenty plus battles? To answer this question I decided to base the following analysis off of three different Offensive Metrics. #1. 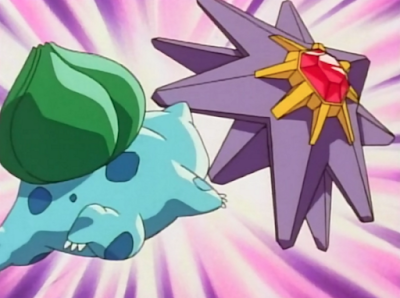 Which Types are "Super Effective" against the most Generation One Pokemon? #2. Which Types are "Not Very Effective" against the least Generation One Pokemon? #3. Which Type had the highest average of the two Ranking Metrics? 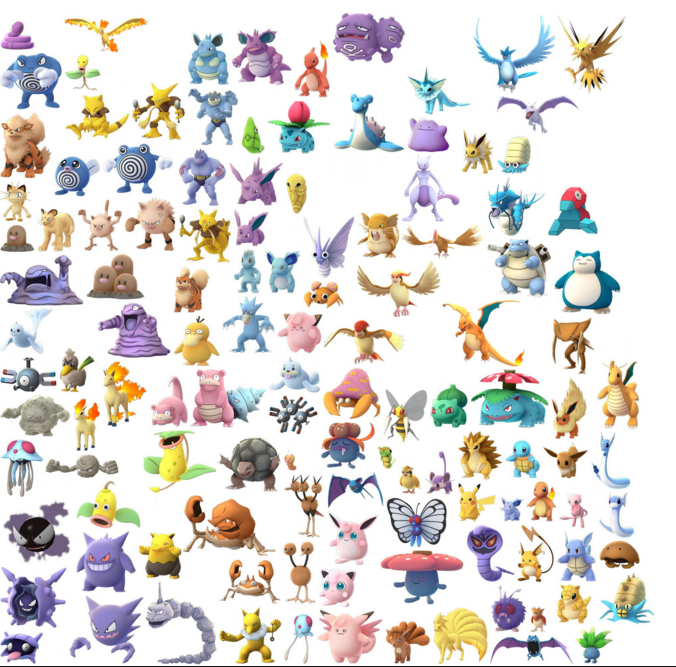 Before analyzing the above, I first had to identify how many of each Type of Pokemon would be in Pokemon Go (Generation One). I took into account the fact that 67 Pokemon had two different Types, while 84 Pokemon had a single Type. After breaking it down, I learned that the Top three most popular Types of Pokemon were Poison, Water and Normal Pokemon. On the other side of the spectrum, the least popular Types of Pokemon were Fairy, Ice, Ghost, Dragon, Steel and Dark (0%) Type Pokemon. Next, I decided to create a chart which illustrated which Type was Super Effective against the Most Generation 1 Pokemon. After doing some more analysis, I discovered that Ground Type Pokemon were Super Effective against almost 50% of all Pokemon! The main reasons were that Ground Type Pokemon are Super Effective against five different Types of Pokemon. Ground just happens to Super Effective against Poison Types, which make up almost 22% of all Pokemon. In addition, Fire, Electric and Rock Type Pokemon make up about 20% of all Pokemon. It was interesting to see that Ground Types were "Super Effective" against more Pokemon than any other Type. However, Ground Types are "Not Very Effective" against Grass and Bug Types. In addition, Ground Types have no effect on Flying Types. I wanted to see how this would affect the overall "Best Offensive Pokemon Type" analysis. Going a step further, I discovered that Ground Type Pokemon were Ranked 9th in the "Not Very Effective Against" category. 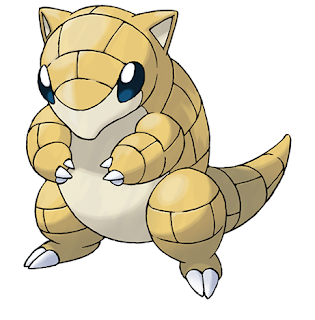 Ground Type moves are "Not Very Effective" against almost a third of all Pokemon. Dragon Types actually came at Number #1 in this ranking, simply because their attacks are "Not Very Effective" against Steel and Fairy Types. If you take a look at the % of Pokemon Chart, Steel and Fairy Type Pokemon make up less than 5% of all Pokemon! 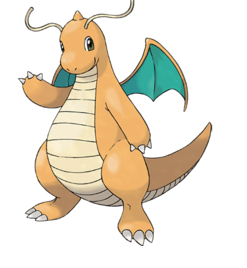 Therefore, if you have a Dragon Type it is very rare you will come across a Battle where your damage dealt is reduced. I noticed that some Pokemon Types were ranked high on Chart #1, but ranked low on Chart #2. To discover the Best Offensive Pokemon Type once and for all I then decided to take all Pokemon Rankings from each chart and make Chart #3. #3. Which Type had the highest average of the first two Ranking Metrics? After combining the rankings of Chart #1 and Chart #2 the following is what I learned. 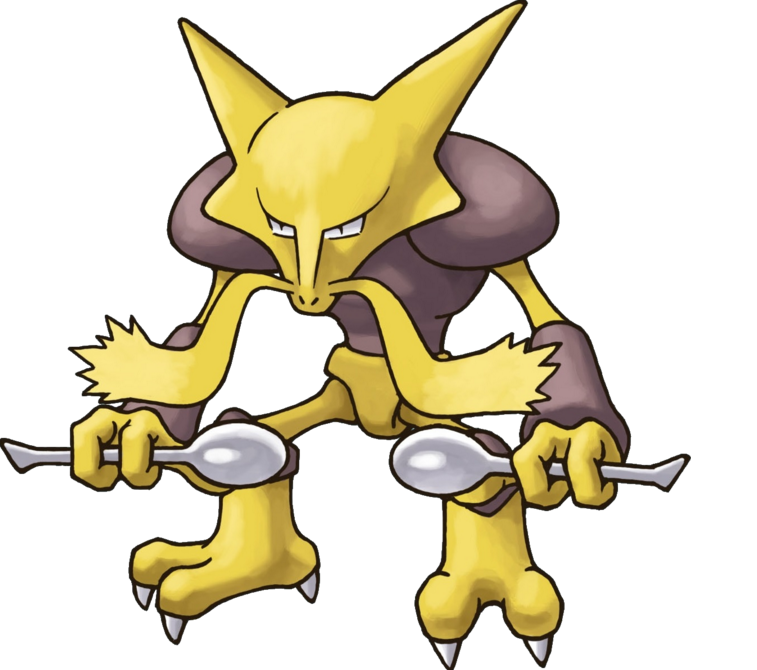 Coming in at the Best Offensive Type Pokemon is... Psychic! Although not the best is either chart, Psychic Types Rank #1 in Offense Overall. Psychic Type Pokemon are "Super Effective" against Fighting and other Psychic Type Pokemon, which combined make up more than 25% of all Pokemon. On the flip side, Psychic Type Pokemon moves are "Not Very Effective" against Psychic and Steel Type Pokemon, which only make up about 10% of all Pokemon. Therefore, when using a Psychic Pokemon, players have almost a 90% chance to face a favorable Offensive Type or equal Offensive Type matchup. It should be noted that Psychic Pokemon have no effect on Dark Pokemon, but currently there are no Dark Type Generation One Pokemon. I'd love to hear your thoughts on this post. Please feel free to leave a comment below! He made a typo is all. OP, this is great info. If your next step would be to select only pokemon in their final form (ex. Flareon, Alakazam, Electabuzz), and then compare that data, we could see a great representation of possible matches in gyms. While your chart is great it doesn't provide as much usefulness as it could to people looking for the best pokemon to battle with. He did not make a typo. It's a lower less effective variable; therefore, it is both super effective and not as less effective. "Players have almost a 90% chance to face a favorable Offensive Type or equal Offensive Type matchup." This is amazing. I almost set out to do this myself but (surprise) the internet already knows everything. Thank you! Not to undermine any of your research (this was extraordinary and I appreciate it!) but I do believe that when it comes to attacking, the move types of a Pokemon are far more important than the Pokemon types themselves. For example, you mention that their are no dark type Pokemon in generation one, which is true, however, there are many dark type moves that a good deal of generation one pokemon can potentially have. 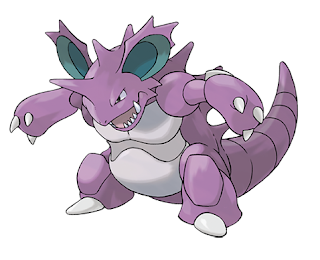 Dark type moves like "Bite" and "Dark Pulse", for example, can be found in roughly 30 generation one Pokemon. I wanted to do all the research you did but couldn't find the time. If you wanted to get a more accurate depiction of strongest/weakest Pokemon, I would suggest collecting all the moves found in the game, sorting them by type, and then re-doing the numbers while keeping in mind damage multipliers ("super effective"). Again, this is just purely from an offensive perspective as defense is based on the pokemon type data you've already collected. Sorry for the long post! Good work either way! ^^ as an edit to my previous post, apparently "Dark Pulse" is a generation 4 move, which means that PoGo probably contains moves from generations 6+ while only containing actual Pokemon from Generation 1. So if you REALLY wanted to find the strongest Pokemon based on move types, there are way more moves to sort through than I initially thought. You are completely right. Move Types are much more important from an offensive standpoint. I definitely need to update this page. Great data and thanks. FYI, I use your site a lot as the main place to go to get Pokemon info. I'm a super newbie here (jumped on the PoGo bandwagon) but absolutely addicted to it. I'm still trying to work out from an offensive point, how does moves affect the opponent during a battle. For instance, I'm up against say a 1100CP Golbat which is a flying Flying/Poison type. I have a Clefable say also around 1100CP that has two Psychic moves. From your chart, Psychic is super effective against Poison. I have a question and a couple of follow up ones. Question 1, does that mean cause my Clefable has 2 Psychic moves that it is double super effective over the half Poison type that the Golbat has, ie back to just being 1 times super effective? Question 2, why does my Vaporean or Seadra with 2 Water moves and a CP of say 900 take out the same Golbat whilst reserving half more HP than my Clefable after the completion of the battle even though Water does not show in your charts as being super effective against either of the types Golbag has (Flying/Poison)? Last Question, does the moves of the defending Golbat count went battling me? If so, then it would seem that the only way to prepare for a battle would be to work out your best offensive moves rather than focus on what type to defend against (if you know what I mean)? Sorry if I didn't use the right terms correctly.